This note provides an introduction to RFID portals with particular focus on their strengths and weaknesses. The examples given are primarily oriented toward smaller portals tracking individuals carrying critical assets. The term "RFID portal" is usually used to describe a specific bottleneck through which "things" are moved, and which has RFID readers strategically placed to read RFID tags on the "things" moving through the bottleneck. 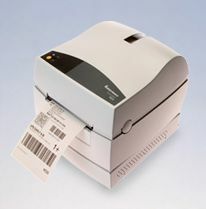 The RFID tags can be used to track many different things including: people, computers, test equipment, file folders, books and items being manufactured. In some cases the tracking is of primary importance and care is taken to ensure the tags are attached and presented in such a way that they can be easily read. In other cases the reading of the tags is incidental, and there is no guarantee or control over the placement of tags or items surrounding them. Portals can be set up to read with any kind of RFID tag, but most portals use passive UHF. LF and HF passive tags generally have too short a read range. At the other end of the spectrum, active RFID tags have too large a range to be useful with most portals - and other configurations can more easily provide the required read capability. UHF passive tags come in a wide range of configurations, and the selection of the most appropriate tag for a given application will depend on many factors including: how many times the tag is to be read, value of the item to be tracked, size of the item, the material to which the tag is to be attached, and how much the presentation of the tags can be controlled. The key elements of the portal are the reader, the antenna and the controlling software. There are many manufacturers of readers including Alien and Impinj. Antenna design is key for ensuring effective coverage, and there are many manufacturers of specific types of antenna, including Newave, which we have used with some good success. Power is provided to the reader. Co-axial cables connect the reader to one or more antenna (although some readers include an internal antenna). The reader is generally accessed through a network connection. Power over Ethernet is often used to reduce the number of cables connecting to the reader. The complete portal can be set up to operate autonomously, requiring only a 120 volt ac connection. Antenna placement is critical to effective operation of the portal, and there are many different configurations which can be used. Some RFID readers have only a single internal antenna. Others have an internal antenna and one connection for an external antenna. More commonly, most readers have connections for up to four antennae. In situations where the presentation of the RFID tag is tightly controlled, it may be necessary to only have a single antenna, especially if that antenna can be placed relatively close to the tag to be read. A more common situation that we often face is that of a conventional doorway where individuals are hand carrying specific items which need to be identified. Items being carried could include: file folders, laptop computers, test equipment, replacement equipment being taken by service technicians, radios and even weapons. In this situation we ideally need to identify the individual and the items being taken through the portal. There can be no control over the way that the items are being carried (and therefore the way in which the tags are being presented). Also, reading of the tags is often incidental to the activity underway. People passing through the portal are not necessarily concerned about the tag being read and cannot be relied upon to "dawdle" through the doorway to give the reader a second chance. Reading of an RFID tag relies on clear line of sight between the antenna and the tag. But "line of sight" to the antenna is different to line of sight for us. To the antenna, paper, wood and clothing are invisible. Conductive materials are opaque. And in this case the human body is considered to be a conductive material. So a tag that is "hidden" by metal or a human body is more difficult to read. This leads to some imaginative placement of the RFID antenna. Ideally, where a conventional doorway is controlled for human access, an antenna should be placed either side, and as close to the path taken by pedestrians as is convenient without obstruction. Additional antennas can be placed above the doorway (it may be convenient to place these above the ceiling tiles where fitted). In extreme cases, an antenna can be placed below the floor. Any executive who has read a magazine on an aeroplane knows that all RFID portals provide 100 percent capture of all tags passing through. Although this is true for uniform items passing through a portal in a controlled fashion, it is rarely true in the "real" world. But this does not mean that use of a portal should be rejected if a 100 percent hit rate cannot be guaranteed. As one of my clients pointed out, a 90 percent hit rate solves 90 percent of his problems. If this can be achieved at low cost, with a simple installation which will perform reliably and which can be maintained easily if required, then it is easy to calculate the return on investment and easily justify the installation. A second point to note here is that corporate culture is never static. Another client pointed out that a police radar trap does not have to ticket every speeder to be effective. This client noted that once the system was installed, and one or two clients called to account for failing to sign out equipment, the culture changed and everybody paid much more attention to the regular routine checkout procedures. Take-up of RFID technology has proceeded more slowly than first anticipated. Driven largely by the potential gains anticipated in retail, a great deal of money has been applied to the search for a 100 percent effective portal. Our understanding is that the conclusion is "close, but no cigar." The emphasis now is to look at the capability that we do have and to figure out where it can be applied effectively. Ooops, we nearly forgot the software! The above account focuses on the hardware of the system. Of course software provides the brain and the capability to sort through the mass of information provided by the portal and turn that into information which is in a format useful to you. Part of this omission is because we assume that most of our clients will already be using one of our existing software packages, most often a variant of BassetPro. In this case the portal provides an alternative data entry point, though with a great deal of specific data processing. 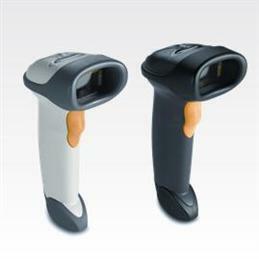 The technical requirements for the portal have much in common with the RFID reading technology incorporated into the mobile element of our systems, the handheld computer which reads RFID tags and displays related information. 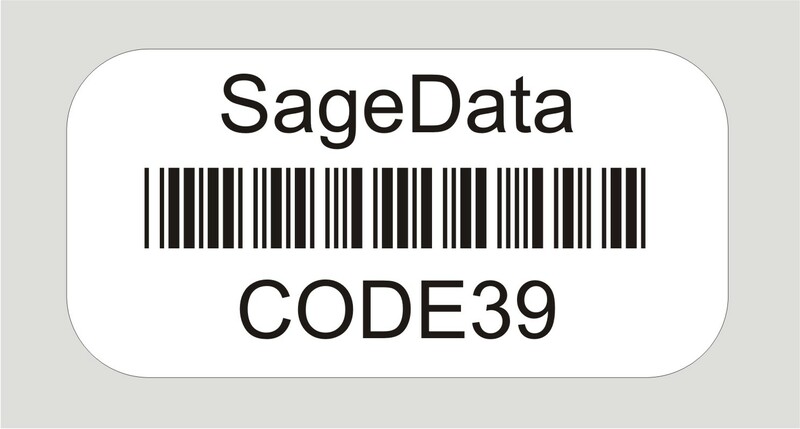 But it differs dramatically from the barcode element of the system, in part because reading a barcode is usually a one-shot operation, whereas reading an RFID tag is a continuous process. Software used for our portal applications is configured specifically to match the requirements dictated by portal size, presentation conditions and type of materials being tracked. RFID portals are here and now. They provide an effective solution for a specific range of applications. In their simplest form they are low-cost, easy to install, reliable and easy to maintain. Best of all, they are entirely passive, and we are using "passive" in this context to mean that items can be tracked without requiring any involvement from the individual moving or carrying that item through the portal. If you are responsible for managing "things" that can be easily transported, then there may be a portal in your future. We would be happy to discuss your application and provide advice. If the solution does not fit the problem we will let you know. And if it fits we will explain in detail how the portal will work for you, and the benefits, and the ROI. We hope that you have found this note useful. We encourage you to give us some feedback, and help us improve this article.